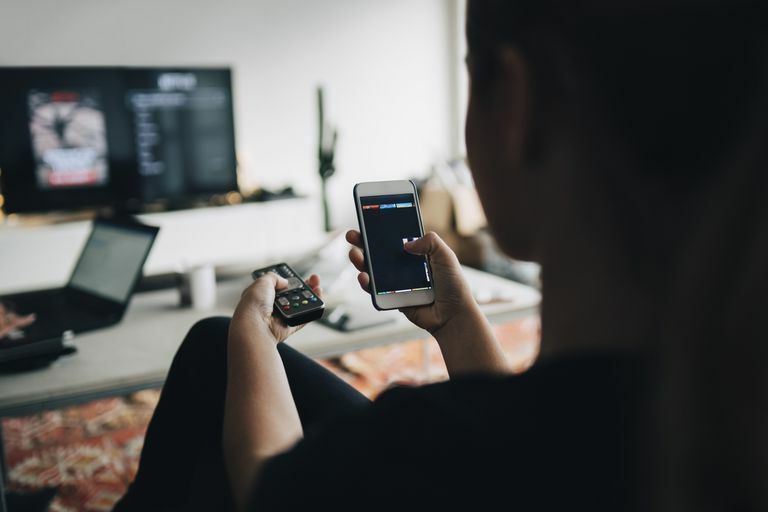 When we consider how much our smartphone or tablet can do, it doesn't make sense to rely on a "smart" TV or a streaming box like a Roku or Amazon Fire Stick. We already have the same access to Netflix, Hulu and other great providers in our pocket. So how do you get that screen from your smartphone or tablet to your TV? It's a question that is both simple and complex. Solutions like Chromecast make it relatively easy to 'cast' your screen, and depending on your particular smartphone or tablet, you may have a few wired options to explore as well. The information below should apply to most Android phones, no matter the manufacturer, including Samsung, Google, Huawei, and Xiaomi. Google Chromecast also works with iPhones and iPads. The cheapest, easiest and perhaps best way to connect your Android device to your HDTV is with an HDMI cable. It isn't as common for manufacturers to include a Micro HDMI port in their device as it was just a few years ago. But if you are lucky enough to have one, it makes the entire experience much easier. Micro HDMI to HDMI cables are roughly the same cost as a regular HDMI cable, so you can get one for as cheap as $20 or less. You can find them in local electronics stores. After you plug your device into one of your TV's HDMI inputs, switch the TV's source (usually through a source button on the remote) to the HDMI port and you are good to go. Ensure the Android device is in landscape mode to obtain the best viewing experience. While Apple has stuck with the 4:3 aspect ratio with the iPad — which is great for browsing the web, Facebook and the computer side of tablets — most Android tablets sport a 16:9 aspect ratio that looks great on those big HDTV screens. The big disadvantage to going with a wired solution is the difficulty in using the device while you have it connected to the TV. If you are watching a movie, this limitation isn't a big deal, but if you want to play a game or watch YouTube videos, it isn't ideal. Google's Chromecast is the cheapest alternative if you don't have a Micro HDMI port on your device. But don't mistake it for similar streaming devices like Roku, Apple TV or Amazon Fire TV — the Chromecast dongle doesn't actually do anything on its own. It relies on your Android device to be the brains behind the operation, while it simply casts your Android screen onto your television set. The biggest advantage of Chromecast is the price tag, which comes in at under $40. Another really cool feature is the compatibility with both Android and iOS devices. While you can only do true display mirroring with an Android smartphone or tablet, you can still cast video from Netflix, Hulu, or any other Chromecast-compatible app from your iPhone or iPad. This versatility is great for households that have both major mobile platforms. And Chromecast setup is easy. After you plug the dongle into your TV and attach the power cable, download and launch the Google Home app. This app will detect the Chromecast and establish a connection to help set it up. It can even transfer over your Wi-Fi information device automatically on some devices. Google Home is also the app you use to mirror your display, although, with many popular apps like YouTube, you simply need to tap the cast icon, which looks like a box or TV with the Wi-Fi symbol in the corner. Mobile High Definition Link is the technical term for a Micro USB to HDMI adapter. Many of the top brands support MHL for their Android smartphones and tablets, although you may need to double check your own device by browsing a list of all mobile devices that support MHL. This connection offers the same benefits as connecting through a Micro HDMI port, but it is slightly more expensive because of the need for the MHL adapter, which can cost between $15 and $40. This option can be more expensive than a Chromecast. Like the Micro HDMI to HDMI solution, it just works. You shouldn't need to do anything special other than making sure your smartphone or tablet is in landscape mode to get the best viewing experience. Samsung has dropped support for MHL and all other protocols for sending video and audio over USB, so if you have a newer Samsung smartphone like the Galaxy S6 or Galaxy S6 Edge, you will need to go with a wireless solution like the Chromecast. Samsung tablets generally do not support Chromecast at this time. SlimPort is a new technology designed for all sorts of devices from smartphones to tablets to cameras. It uses the same basic technology as DisplayPort to pass audio and video to a television or monitor. It has growing support that includes devices like the LG V20, Acer Chromebook R13, HTC 10, LG G Pad II and Amazon Fire HD tablets. You can check this list if to see if your device has a SlimPort. SlimPort operates much the same as MHL. You will need a SlimPort adapter that costs between $15 and $40 and you will need an HDMI cable. After you buy the adapter and cable, setup is straightforward. Chromecast isn't the only game in town when it comes to wireless, although it may be the cheapest and easiest solution. The Roku 2 and newer boxes by Roku support casting. You can find the screen-mirroring option in the settings of the Roku. On the Android device, open the Android's Settings app, go to Display and choose Cast to see available options for casting the screen. Both devices must be on the same network. A few brands like the Belkin Miracast Video Adapter and the ScreenBeam Mini2 also support casting your mobile screen to your TV. However, with price tags that easily exceed the Chromecast, it's hard to recommend these solutions. The Roku can be a good choice for those who want a Roku or similar streaming device without the need to always connect your smartphone or tablet, but with the option of doing so. Check if your TV supports Samsung-to-Samsung mirroring by going into the Menu, choosing Network and searching for Screen Mirroring. On your smartphone or tablet, pull down the extended notifications using two fingers to swipe from the very top edge of the display downwards. You will see a "Screen Mirroring" or "Smart View" option if your device supports it. If you are unsure of which ports are on your smartphone or tablet, the easy choice is to go with a Google Chromecast. And in most cases, this is also the least expensive option. Chromecast will allow you to both cast video from most of your favorite streaming apps and mirror your display for apps that don't support casting. It's also relatively easy to set up, and because it works wirelessly, you can have your device in your hands on the couch while you cast the screen to your TV.